Taiwanese craftsmanship has never received the attention it deserves. 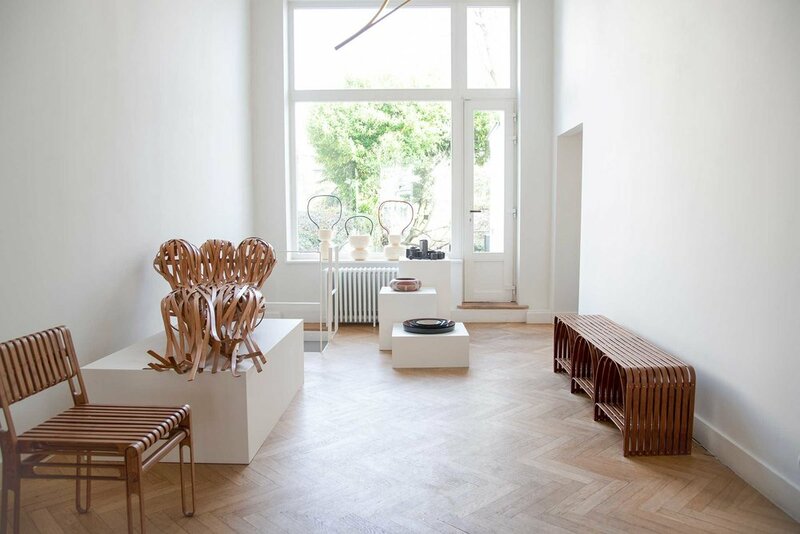 However, a collaboration between the National Taiwanese Craft Research and Development Institute (NTCRI), Brussels and Paris aims to highlight the quality of Taiwanese craft through an exhibition of more than fifteen projects created by international designers working in partnership with Taiwanese craftspeople. Formosa: A New Layer Taiwan meets Yii exhibits beautiful collectible design objects created by young emerging talents like Sebastian Herkner, Anton Alvarez, Jin Kuramoto and Julie Richoz in collaboration with Taiwanese artisans. The show is organised by A New Layer Taiwan, which was originally set up in 2011 as a partnership between Swedish designers and the NTCRI under the name A New Layer I. In 2016, the curatorship was handed over to Lise Coirier, founder of creative consultancy Pro Materia and the Brussels gallery Spazio Nobile, where the exhibition is housed before it moves to Paris next month. While A New Layer I focused on the Swedish-Taiwanese connection, Coirier has broadened the collaborations to the rest of the world and launched the platform at Design Miami/Basel in June 2018. Thanks to her collaboration with the NTCRI, Coirier has connected international designers with Taiwanese workshops to create hybrid designs. For instance, she put Japanese designer Jin Kuramoto together with Zhongyi Industry, a workshop based in the town of Yingge — part of the New Taipei City — that is known for its many ceramics studios. The result is the staggering Neolithic Collection, a set of organically shaped vases based on the Taiwanese Neolithic collection of the National Palace Museum in Taipei. Anton Alvarez worked with Chiayi county’s craft of Koji pottery: colourful ceramic sculptures mainly conceived for temples. Working with craftsman Ban Tao Yao, Alvarez designed contemporary vases inspired by traditional forms. Most designers found inspiration in traditional Taiwanese culture, and merged antique objects with contemporary design. Swiss designer Julie Richoz took a traditional Cong vase as a starting point to create her Cong Collection. Cong vases are rectangular on the outside and cylindric on the inside, a shape that dates to as early as 3400 BC. Although the originals are made of jade and ceramic, Richoz chose lacquered wood. The result is a contemporary version with a deep black complexion and sharp contours. The pièce de résistance of the show is by German designer Sebastian Herkner, an emerging design star in Europe who has already collaborated with Moroso, pulpo and Thonet. Herkner opted to work with bamboo and designed a bench in the shape of a bridge. ‘Taiwan has many bridges because of the large number of rivers and regularly occurring typhoons,’ Coirier explains. The form of the bench presented a challenge: Herkner wanted to create the length of the bench out of bamboo slats each 165-centimetres long, which craftsman Ming An Wu was eventually able to manually bend. Coirier hopes that the exhibition will draw attention back to the Ihla Formosa (Portuguese for ‘beautiful island’). The country is a cultural mixing bowl, a metaphor playfully exemplified in Taiwanese designer Rock Wang’s Brick Plan – a bowl shaped out of brick. ‘Back in the 17th century, the Dutch shipped tropical products from Taiwan to the Netherlands,’ Wu explains. ‘The ships came back to Taiwan with bricks to build forts. Later on, the Taiwanese began to make bricks too, and these were laid with a home-made mortar of sugar, sticky rice and oyster shells.’ It sounds almost tasty. 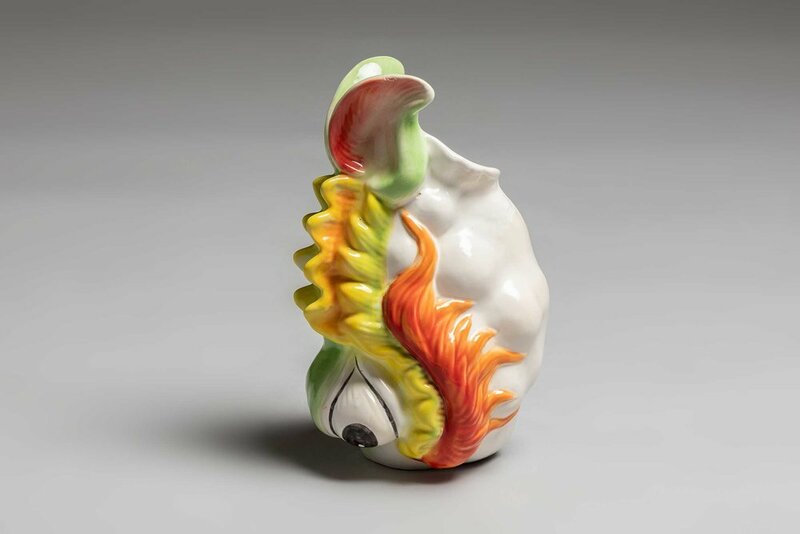 Formosa : A New Layer Taiwan meets Yii is on at Spazio Nobile Gallery, Brussels, until 12 May 2019, and in Paris at the Révélations Biennale, Grand Palais, from 23-26 May 2019. The exhibition at Révélations is an initiative of the Taiwanese Cultural Institute, with the support of the NTCRI and the Taiwanese Ministry of Culture.